The voestalpine Group is supporting the “Water moves industry” campaign run by the Federation of Austrian Industries (Industriellenvereinigung, or IV). For technology and capital goods group voestalpine, water is one of the most important operational and auxiliary resources for steel production. Consequently, protecting our water resources is an important part of environmental activities at voestalpine. Water from the Danube provides cooling for the voestalpine site in Linz. The “Water moves industry” action plan outlines the economic importance of Austrian water management. With a workforce of 118,300 employees, Austria’s “water management industry” has a total production value of EUR 41 billion. When both direct and indirect effects are taken into account, the water management sector in Austria provides jobs for a total of 429,800 employees and represents a production value of EUR 78.8 billion. The IV campaign is intended to draw attention to this topic and raise awareness of the importance of water. Water is chiefly used for cooling and for generating steam in pig iron and crude steel production, making it a key operating and auxiliary resource. The vast majority of water is drawn from surface sources, primarily the Danube, and is used for cooling purposes. 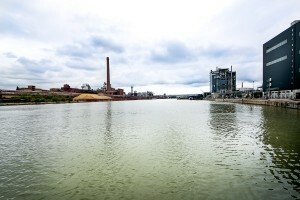 The Danube also plays a vital role as a transport route for voestalpine in Linz: the transport of freight and raw materials, and the subsequent export of finished goods, is partly carried out via water routes. Conserving water resources, and with particular consideration paid to the local circumstances, is achieved using methods including closed-circuit systems and the multiple use of process water. In total, 22% of voestalpine Group environmental expenditure goes towards water protection. All of the cooling water used for the production facilities at the voestalpine Linz site is routed into the Danube or Traun rivers. After purification, operational wastewater is either routed into the Danube or to the Asten regional sewage treatment plant. The volume, temperature, and pH of this wastewater is monitored and recorded on an ongoing basis. 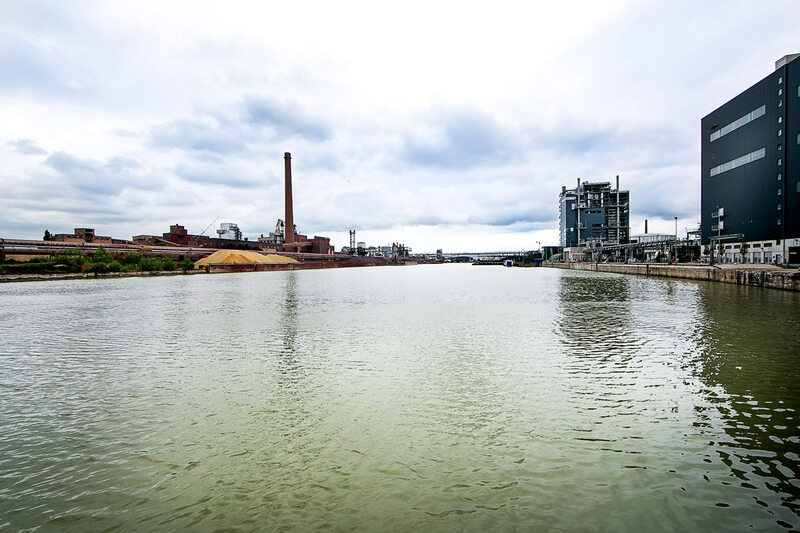 The voestalpine Group makes every effort to minimize its environmental impact at all its sites, and particularly those requiring larger volumes of water. For example, voestalpine company Villares Metals in Brazil has constructed two reservoirs able to hold a total of 11 million liters of reusable water. As a result, it has been possible to reduce the volume of water drawn from local wells by around 30%. Furthermore, fish ladders have been built or improved at the Austrian Böhlerwerk, Donawitz, Zeltweg, and Bruck sites.